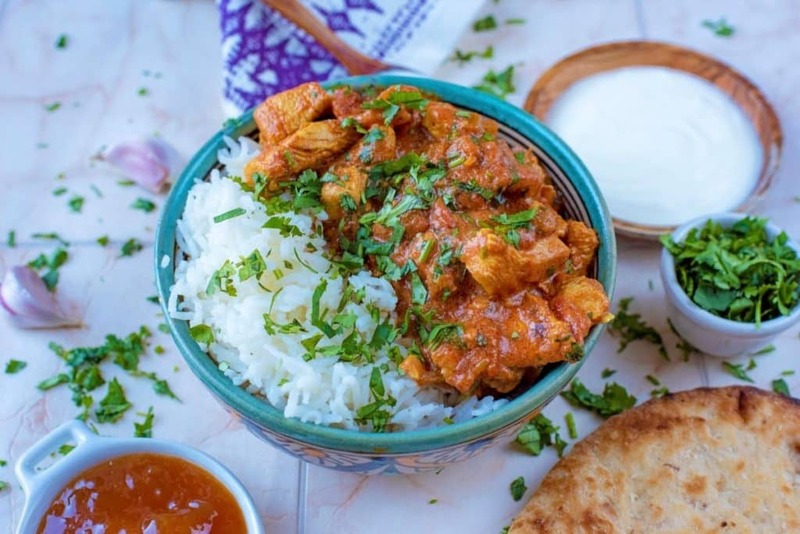 This curry looks absolutely divine and your pictures are divine. My wife isn’t as much of a fan, so I have to save stuff like this for a special ‘me’ occasion. I am putting this on my list! I have a three year old so I’m always looking for exotic flavors I can adapt to his picky palate! And it’s also one of my goals to get less takeout this year, so we are so on the same page! I love this. 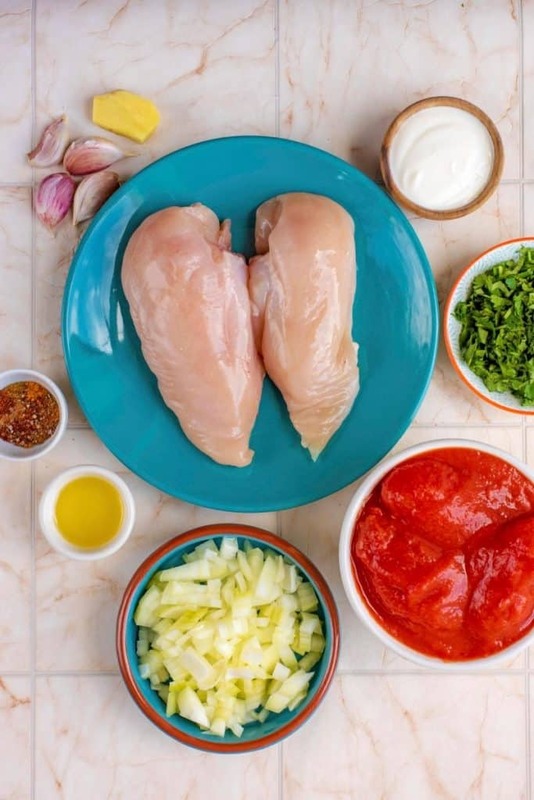 this chicken sound fantastic, I love the tomato and garlic flavors and have never tried curry so this will be a great flavor for me! 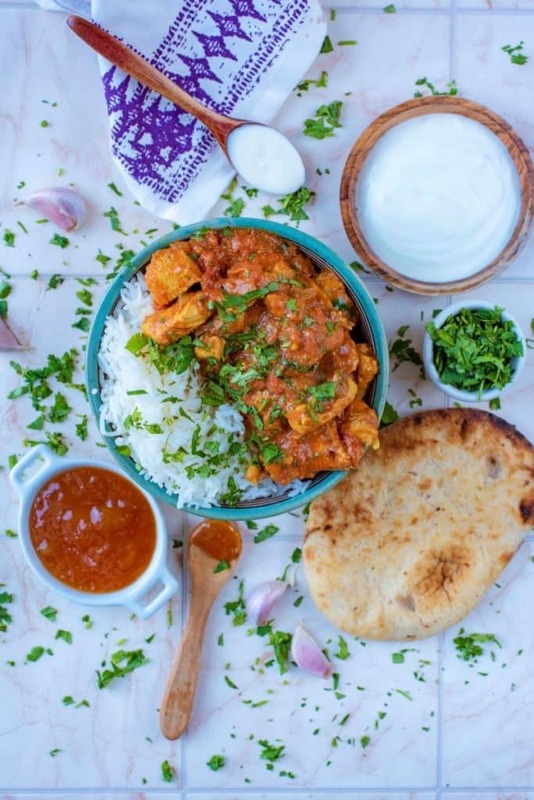 I love a good curry and this chicken one sounds so delicious! Great idea using greek yogurt. I totally need to try making curry with it. This looks amazing, what a great recipe! 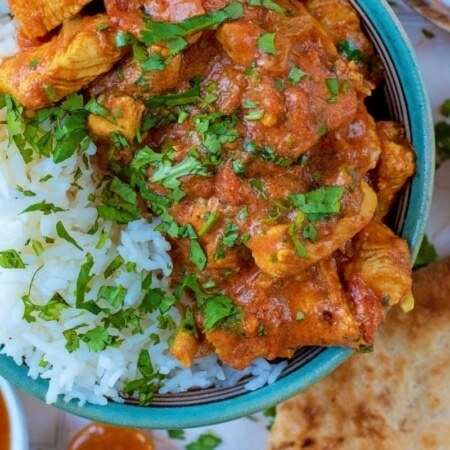 Such a tasty curry, and an ideal meal for the family. Lovely touch using yogurt instead of cream, and adds lovely flavour too. 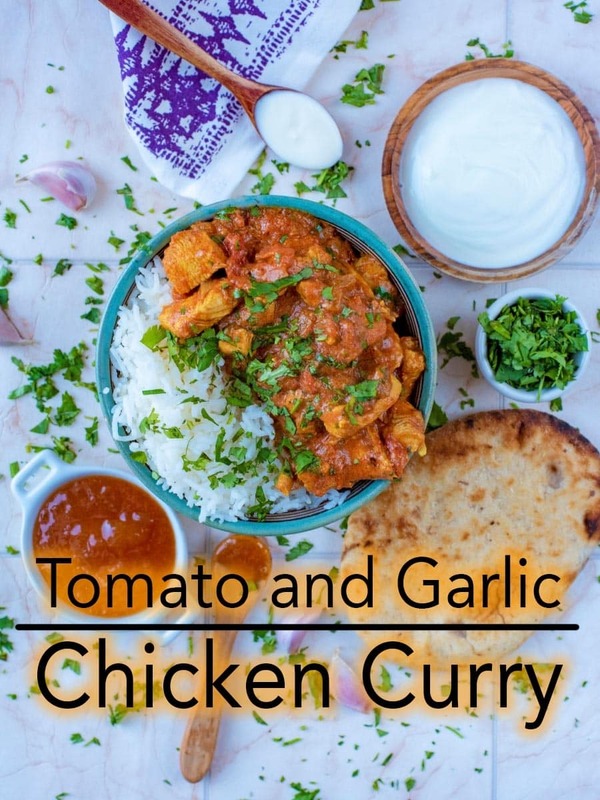 What a tasty looking curry – tomato and garlic are two of my favourite flavours! It sounds so full of flavour! I have never tried a tomato and garlic curry. I need to add this to my must try list! Love the use of the yogurt instead of cream!! This is the perfect healthy version with just the right amount of spice! What a hearty and flavorful meal! This looks absolutely delicious and I would love to try this soon. 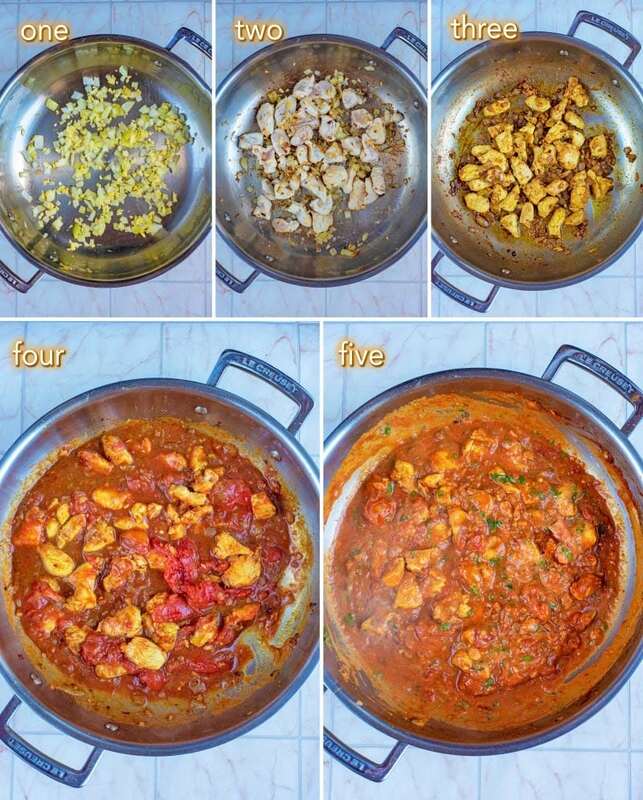 I love curry and I know this will be a hit with my family. 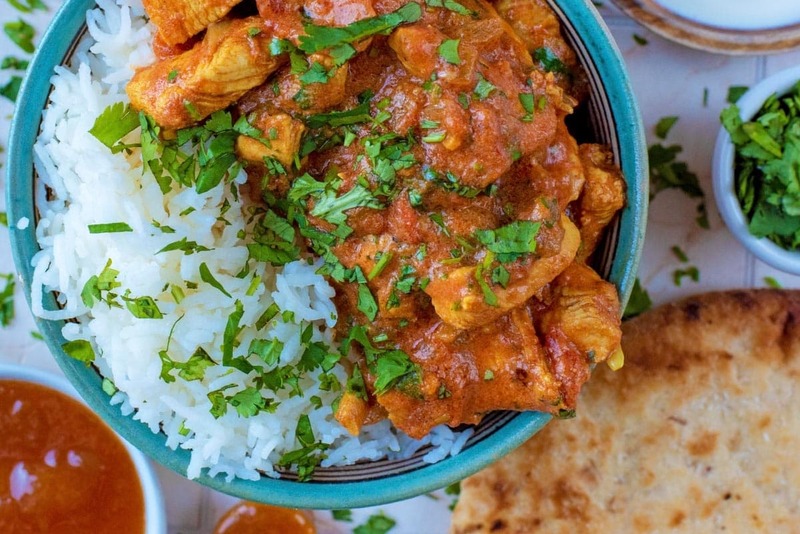 I love a good curry and this one looks fantastic! I think cinnamon in curry elevates everything! Curry is one of my favorite flavors! I am so excited for all the ingredients in this recipe! 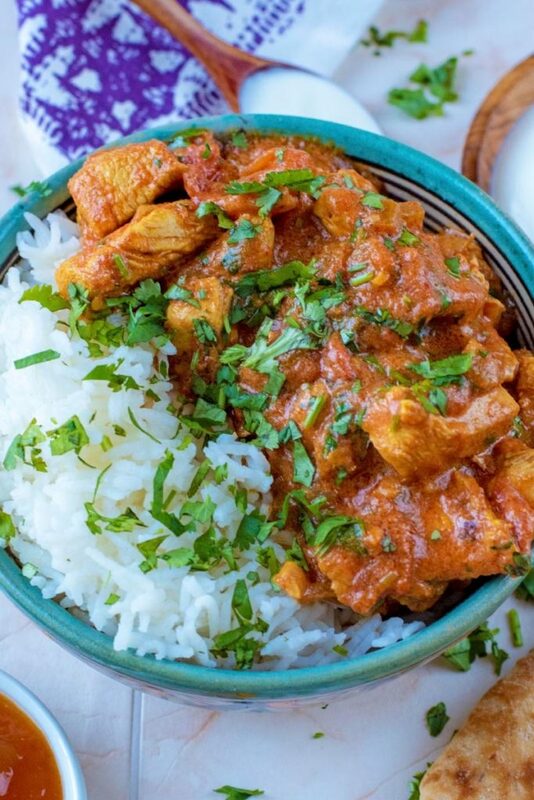 This chicken curry looks amazing. We are big curry family and I am always lookout for new recipes. With little chill setting in the air, this warm and comforting meal will be perfect. Beautiful presentation of the food too !! Just made this curry for our tea! It was delicious! So tasty. This must be so flavorful. I don’t mind having this Chicken Curry for dinner. What a gorgeous curry! My mouth waters just looking at the recipe. I love combinations of exotic spices! I am ALWAYS looking for new things to do with chicken breasts! This looks so savory!! Great timing! Just had something similar at a restaurant last week and was thinking, I should try this at home! thanks! My husband would absolutely LOVE this dish. I need to make it for him for sure!